In a herpetology study, researchers observed a lizard catching a spider. When the researchers blocked the lizard’s exit, he fell to his back. He appeared to be not just sleeping—but dead, with the spider still in his mouth. When certain lizards feel threatened they engage in a multitude of behaviors to discourage their predator. One of them is playing opossum. When certain animals are put on their back involuntarily, they’re being put in a vulnerable position that makes them feel threatened. Even when they're tame pets, wild instincts still engage. 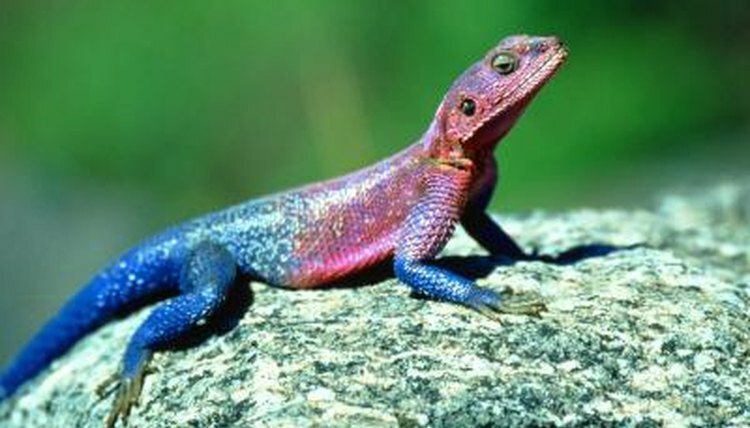 If a lizard is grabbed by his tail in an attack, he will employ tail autotomy as his defense. When being put on his back, that defense isn't an option, so tonic immobility often comes into play. Basically, he fakes being dead in order to discourage his predator. When he thinks the coast is clear, he will typically pop upright to make an escape. Tonic immobility is a reversible state of physical fixity where the animal lacks responsiveness. This trance-like state is also referred to as thanatosis or death-feigning. However, some researchers think the latter words are misleading, since animals engaging in this behavior often assume positions different from that of an animal that is truly deceased. This behavior can last for several seconds or minutes, depending on the animal and circumstance. Displays of tonic immobility have been observed in various mammals, reptiles, amphibians, birds, insects and even humans. Researchers conclude TI (tonic immobility) is a viable defense for several reasons. Certain predators rely on movement to find their prey. Others do not feed on dead prey, or lose interest when the subject suddenly stops moving, such as a cat batting around a non-moving mouse. In some cases, feigning immobility physically impedes consumption. For example, a study by the National Center for Biotechnology Information showed a grasshopper’s faked immobility enlarged its functional size. Since the frog predator had a limited gape, it was impossible to effectively consume. Studies of death-feigning behavior have been scientifically documented since the 17th century. People have been able to induce TI through various methods such as forcing an animal still for a certain amount of time, confining them laterally in a narrow space or even forcing them to focus on a stick or line in the sand. A 17th century German professor hypothesized there were mysterious magnetic forces at work. It's now theorized, this behavior involves involuntary responses within the central nervous system. During the 19th century, TI methods were being perfected in order to induce hypnosis in humans.